Bandai's official youtube channel is now streaming the Japanese promotional trailer for Power Rangers Dino Force Brave which is also dubbed as Jyuden Sentai Kyoryuger Brave. 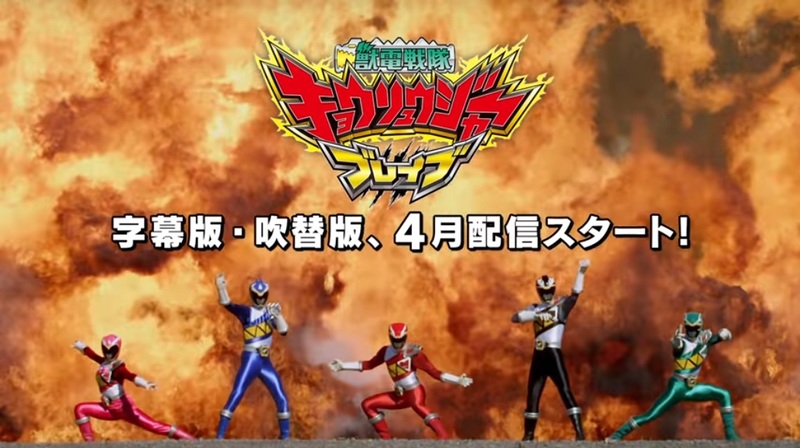 Power Rangers Dino Force Brave/Kyoryuger Brave will have 12 episodes and will be directed by Koichi Sakamoto. The series will premiere in South Korea this April 1. 2017.